3000 miles north & back: Avocado "Mayo"
During my down time over the weekend, I logged on to Pinterest to see if I could find anything new and exciting to create by hand or by blender, food processor, etc. I happened upon an avocado mayo and was thrilled at the idea of a condiment that was big on taste and a perfect compliment to a juicy beef, veggie, black bean, salmon, portobello, etc burger. I modified the recipe into a healthier version with limited ingredients. Adding a little salsa or hot sauce to the avocado mayo, I imagine this would be great on tacos or in any Mexican dish as well...using the avocado mayo like you would use guacamole. 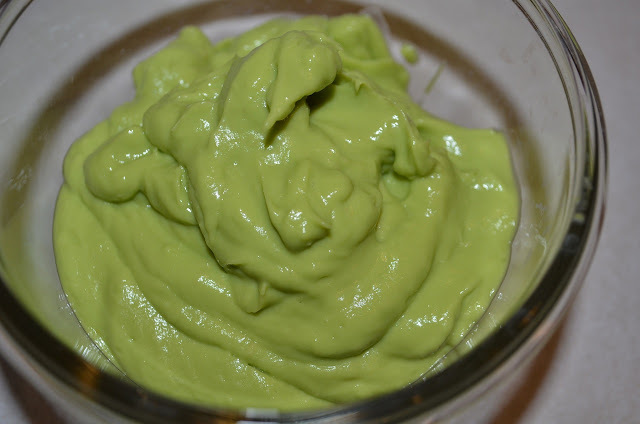 Pulse avocado flesh until smooth and creamy in a small food processor or blender. Add 1 tsp of lime juice for each avocado. Pulse again until mixture is light and smooth (it will become more of a whip). Add garlic powder, onion powder and salt to taste. Pulse again until combined. Keep refrigerated.